It has been rumoured to be arriving for sometime, and now YouTube have officially launched a new YouTube paid subscriptions pilot program for paid subscriptions to content on YouTube. The new YouTube paid subscriptions start from just $0.99 per month and include around 50 channels at the current time, with some available as a 14-day free trial, and some at a discounted rate, if you pay by the year instead of per-month. 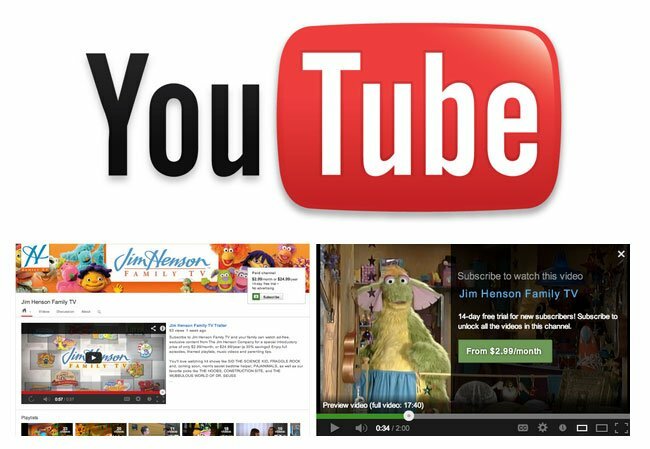 “Starting today, we’re launching a pilot program for a small group of partners that will offer paid channels on YouTube with subscription fees starting at $0.99 per month. Every channel has a 14-day free trial, and many offer discounted yearly rates. For example, Sesame Street will be offering full episodes on their paid channel when it launches. And UFC fans can see classic fights, like a full version of their first event from UFC’s new channel. You might run into more of these channels across YouTube, or look here for a list of pilot channels. Once you subscribe from a computer, you’ll be able to watch paid channels on your computer, phone, tablet and TV, and soon you’ll be able to subscribe to them from more devices. “This is just the beginning. We’ll be rolling paid channels out more broadly in the coming weeks as a self-service feature for qualifying partners. And as new channels appear, we’ll be making sure you can discover them, just as we’ve been helping you find and subscribe to all the channels you love across YouTube. You can check out the full range of movies and series available over on the YouTube website. Enjoy!